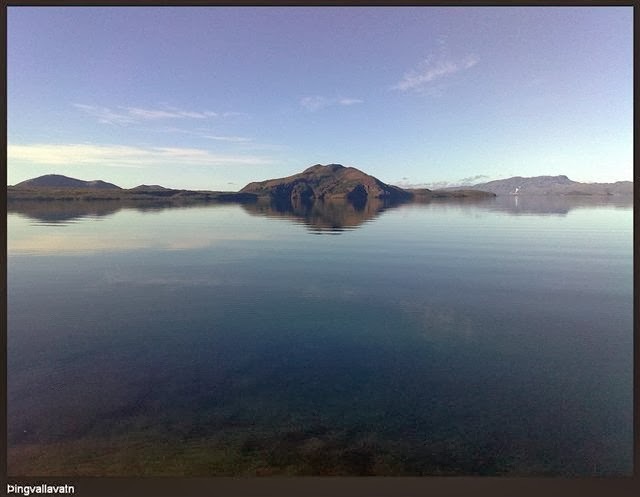 Þingvallavatn is located in Þingvallasveit in Bláskógabyggð. 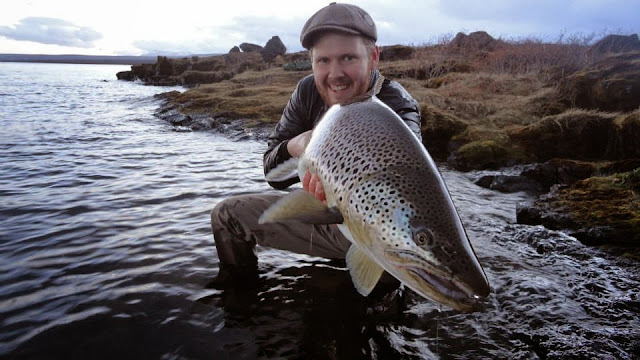 It's belongs to Iceland's most treasured national monument, Þingvellir. 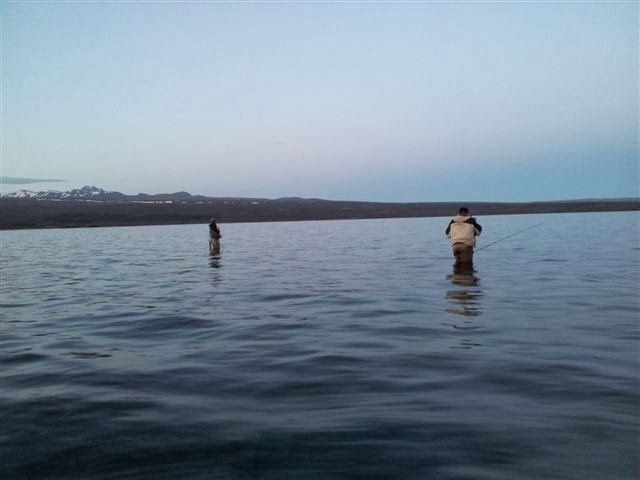 The lake is situated approx. 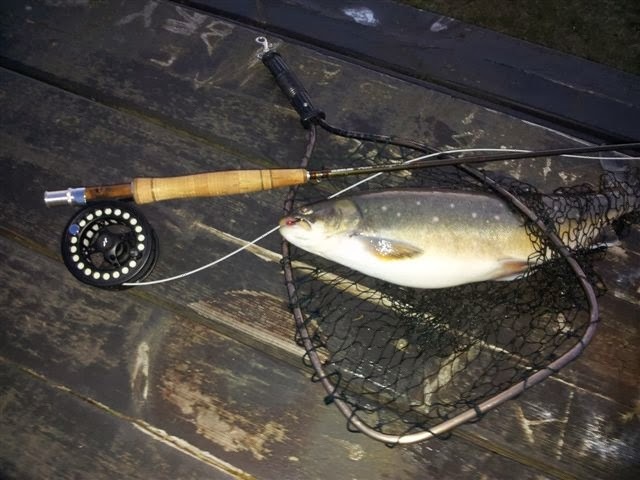 50 km. 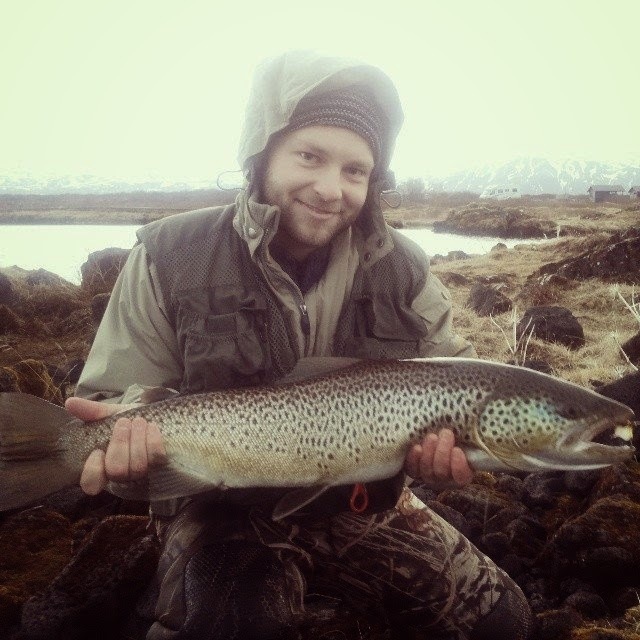 from Reykjavík. 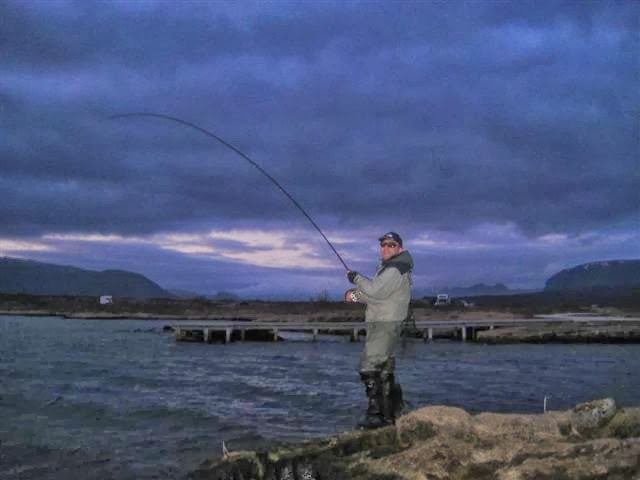 Þingvallavatn rises to approx. 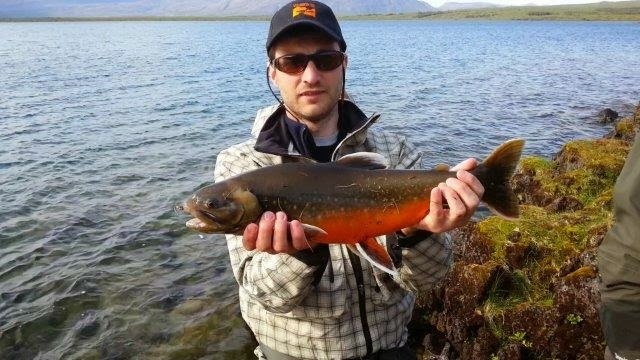 100 m. above sea level, with size of 84 km2 and max. 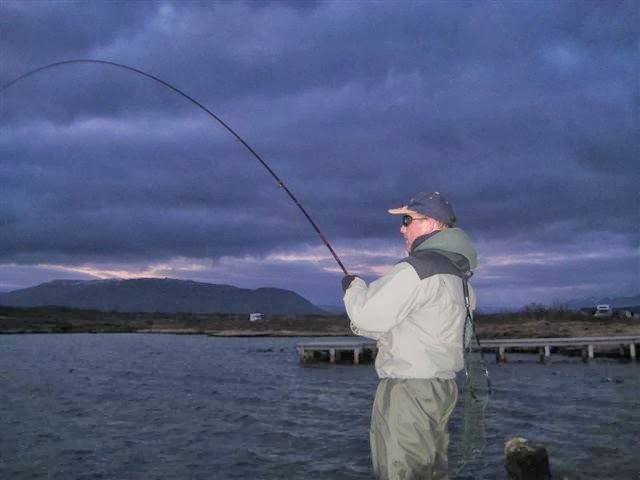 depth of 114 m.
The lake is one of Iceland's most popular fishing sites, with large numbers of regulars. 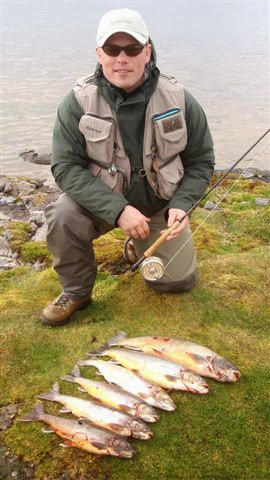 The lake is very cold so please wade carefully! 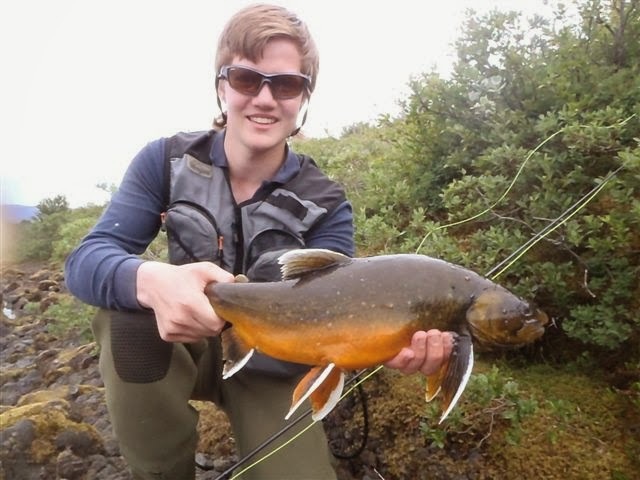 Cardholders are only allowed to fish in the National park, in the area between Arnarfell and Öxará, near Hotel Valhöll. 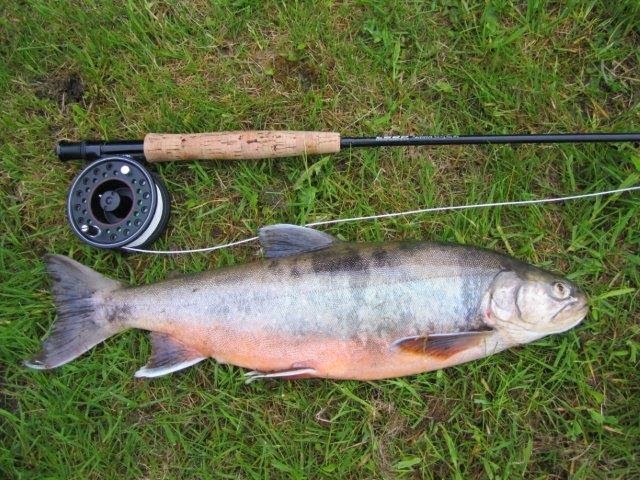 Fishing in Öxará River is strictly prohibited. 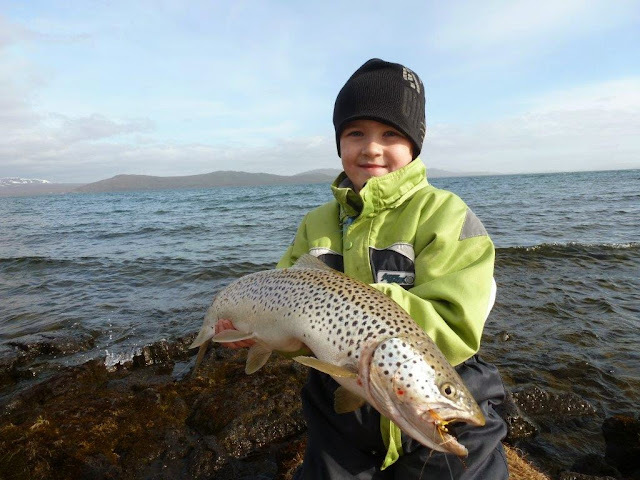 Maps and other information are available at the Service Centre, where cardholders are obliged to register. 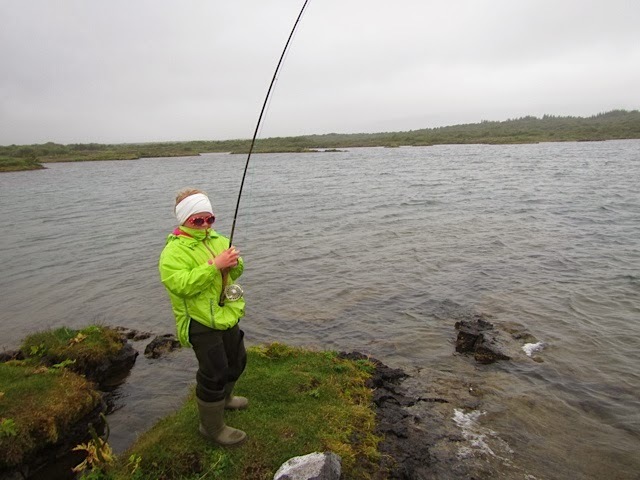 We like to stress that all fishing is prohibited in Ólafsdráttur between July 1st and August 31st. 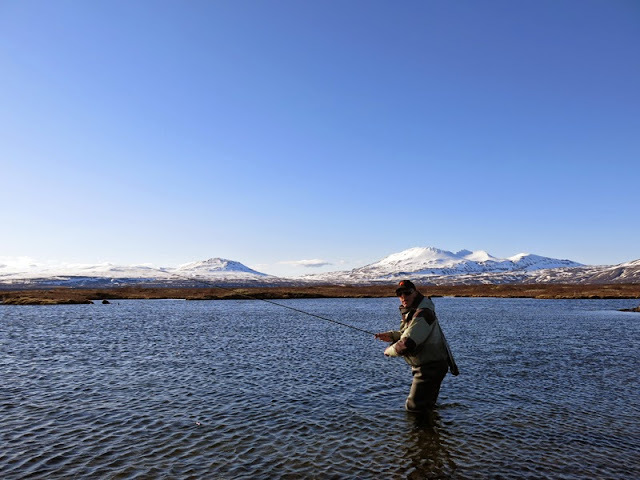 Þingvellir is a popular summer resort. 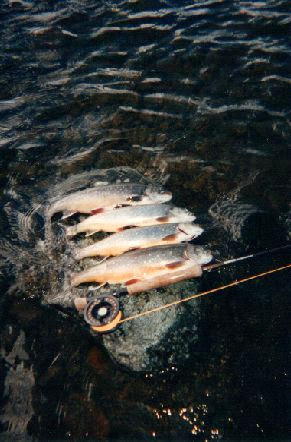 Camping sites are located in various places around the lake. 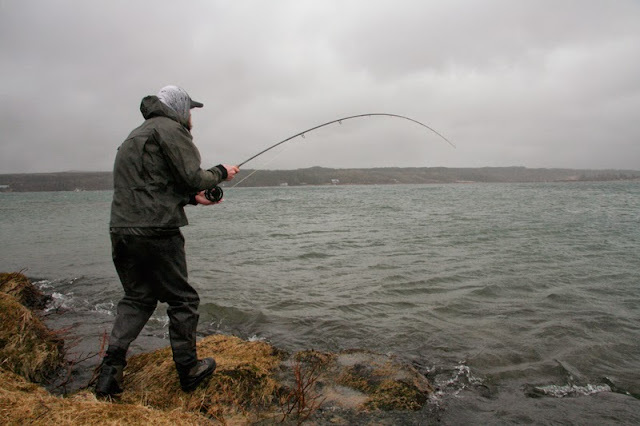 Permits can be purchased at the Service Centre. 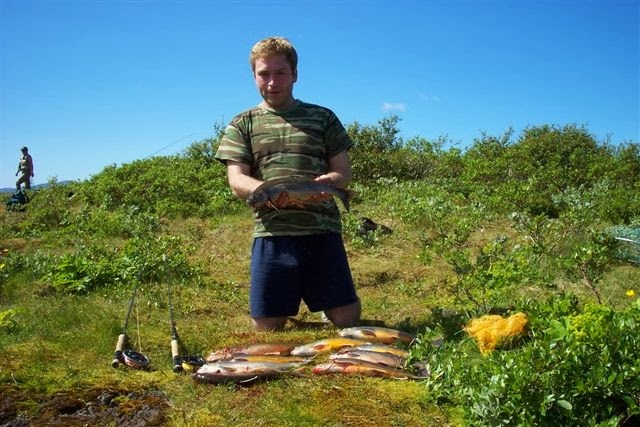 Vatnskot is an exciting camping site, where one can also receive information concerning the best fishing grounds. 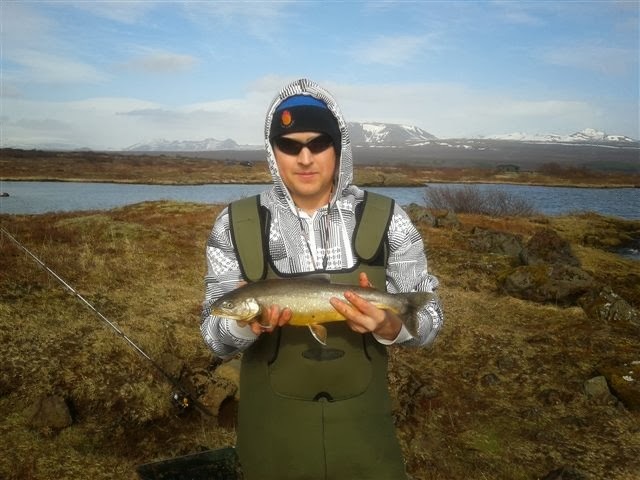 Þingvallavatn has a special affiliation to various types of fish. 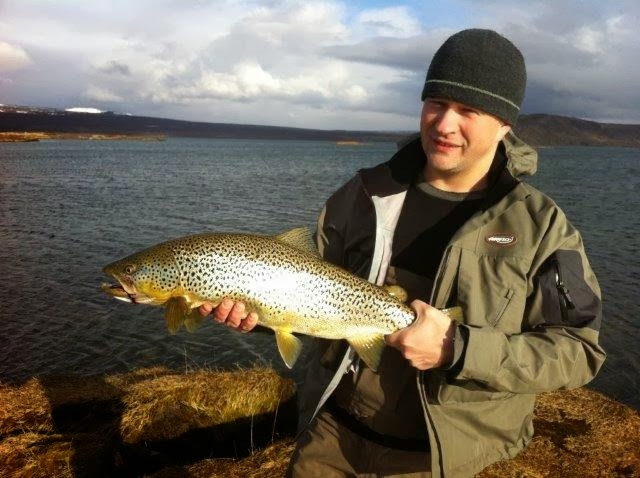 No other lake has as many species of char and its brown trout is quite particular. 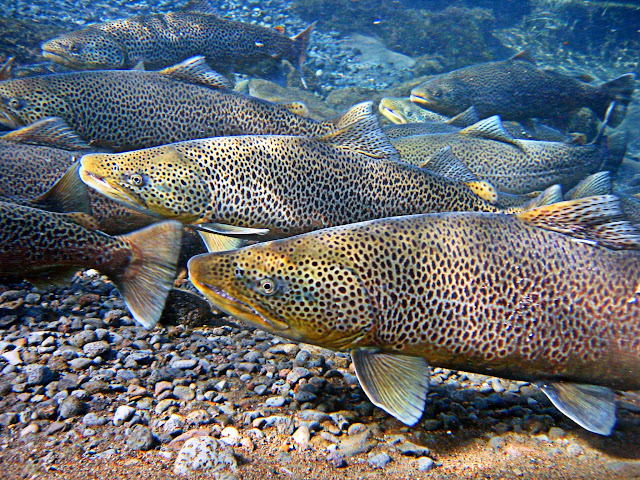 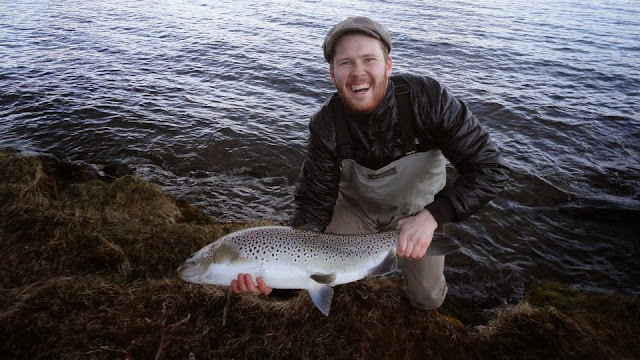 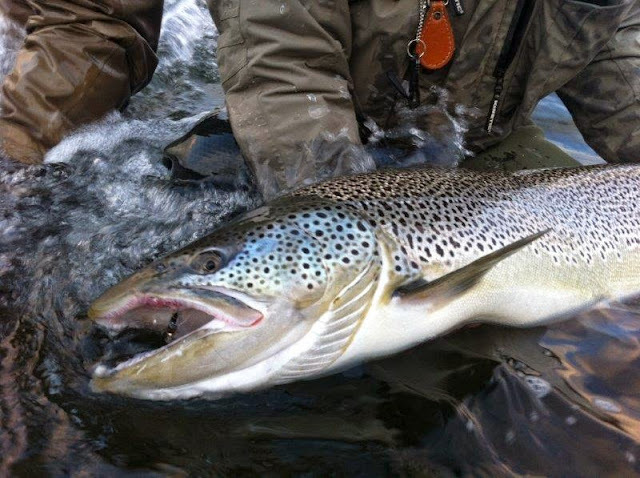 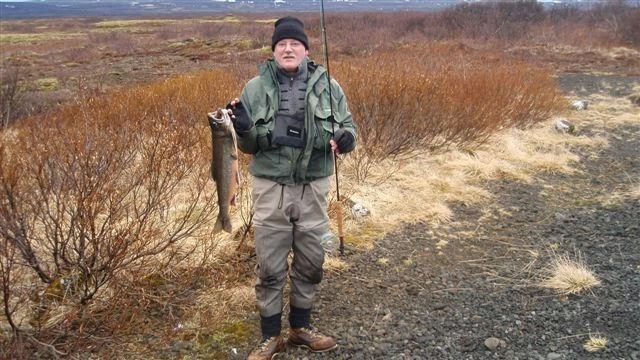 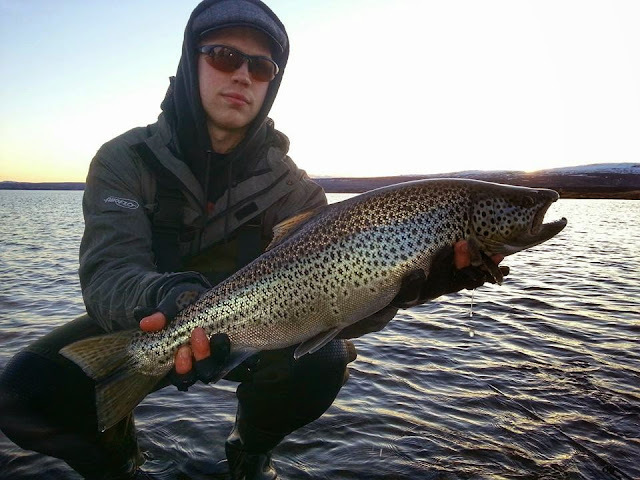 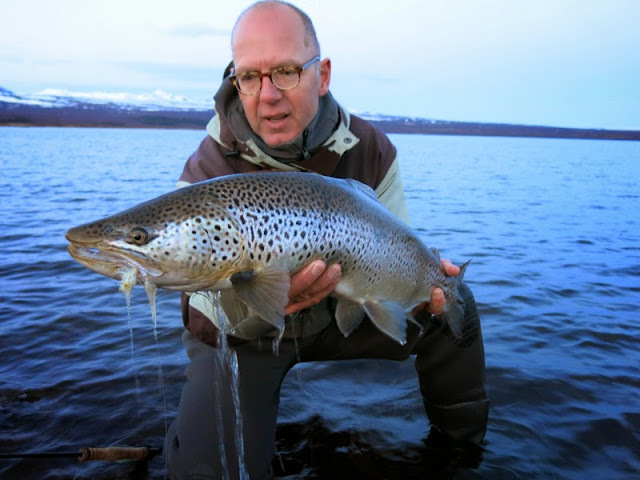 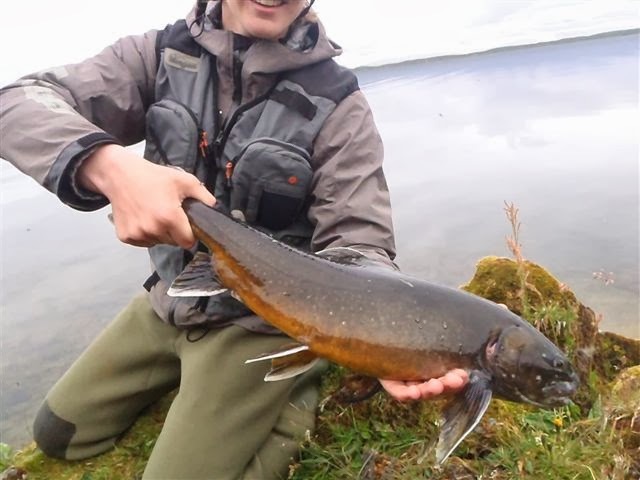 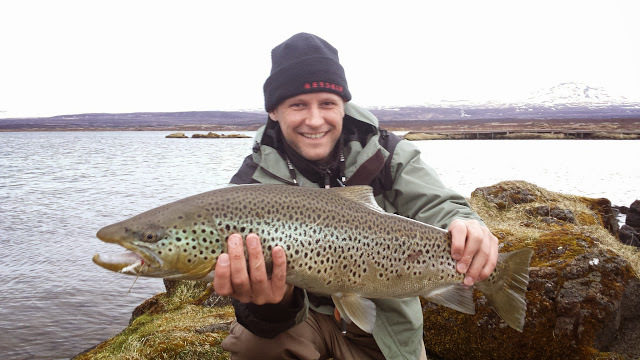 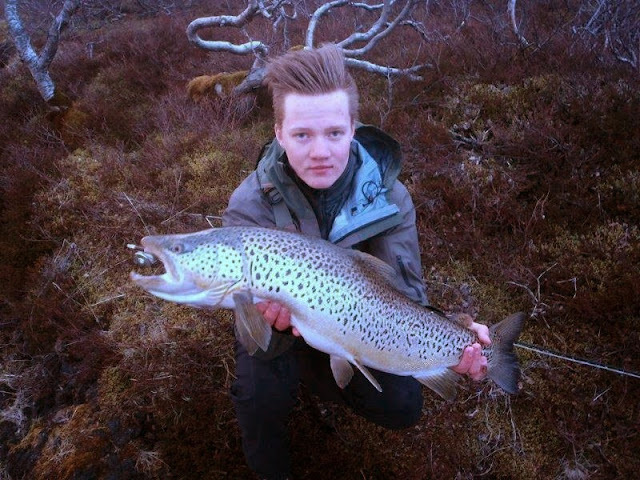 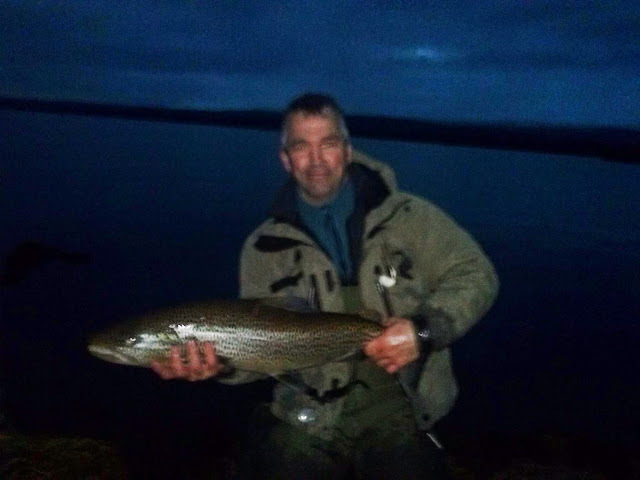 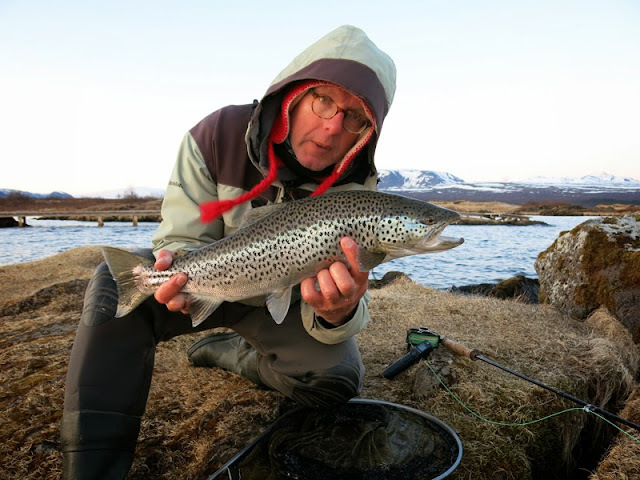 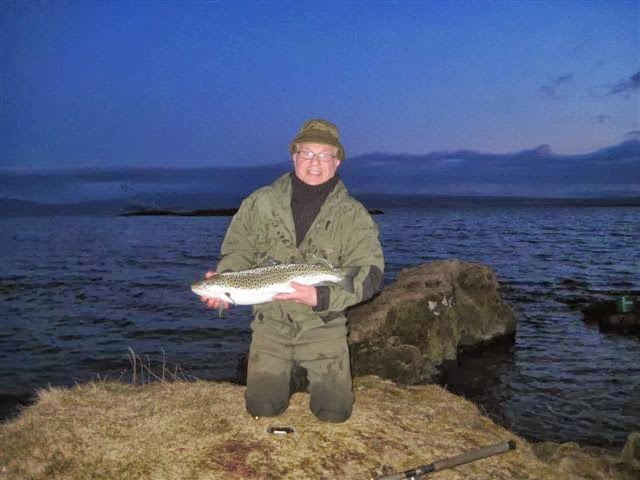 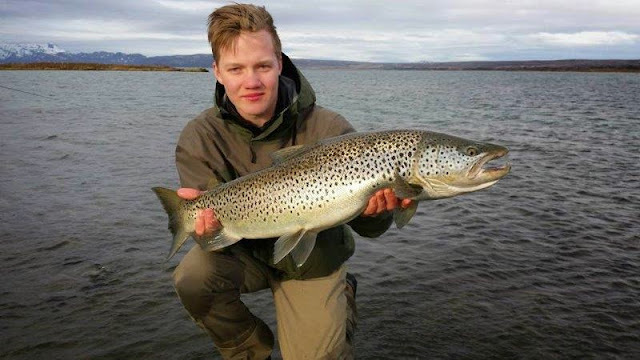 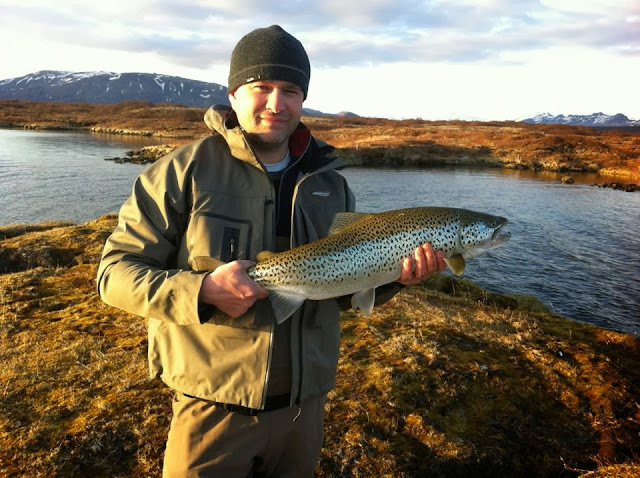 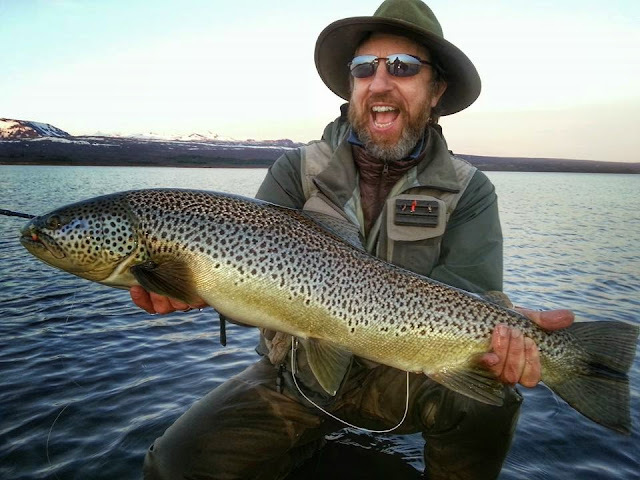 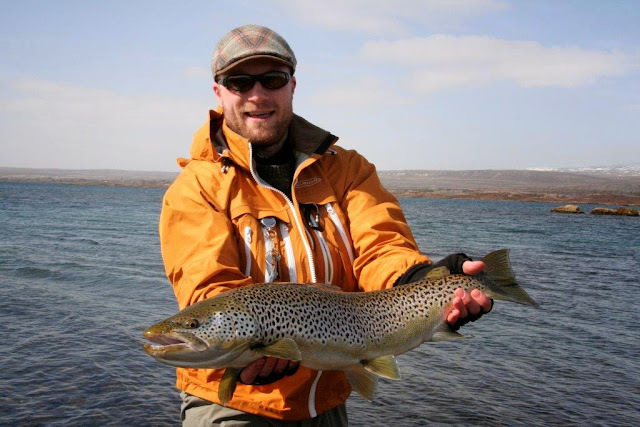 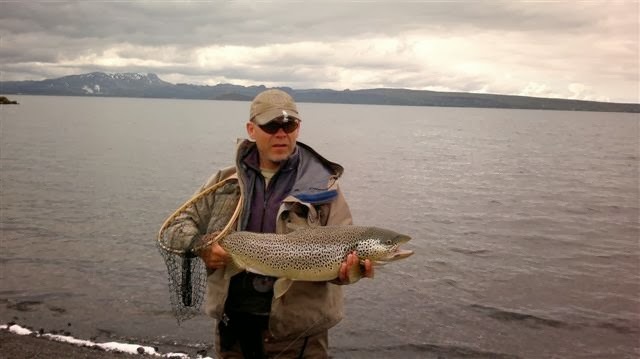 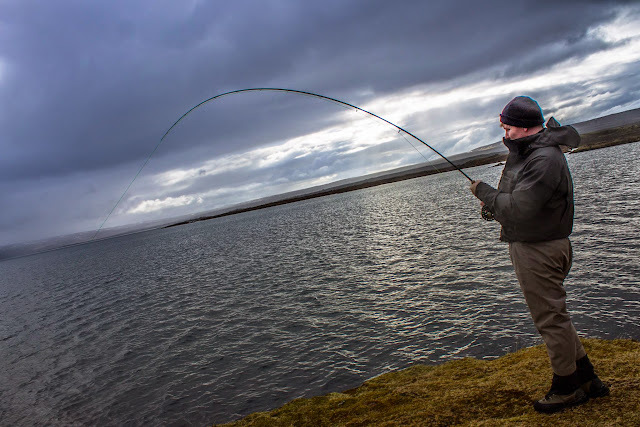 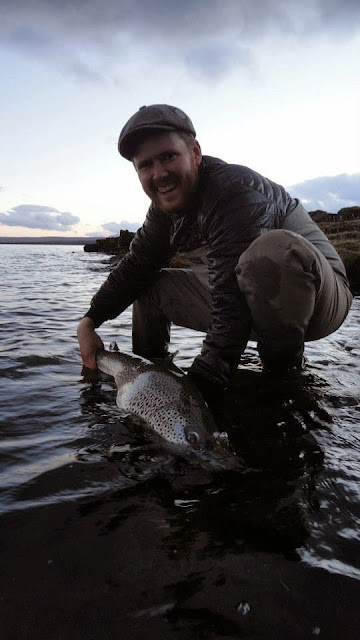 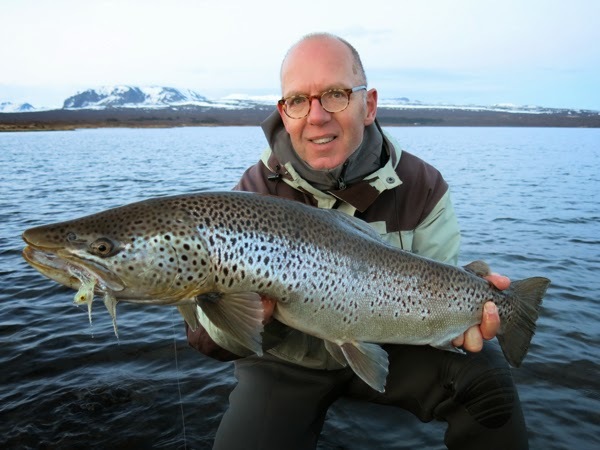 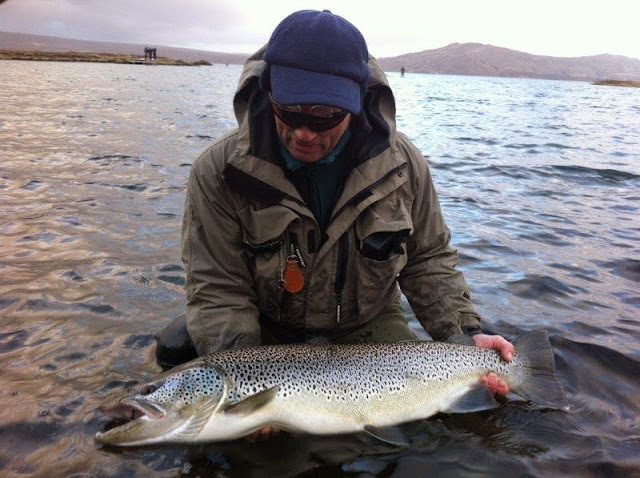 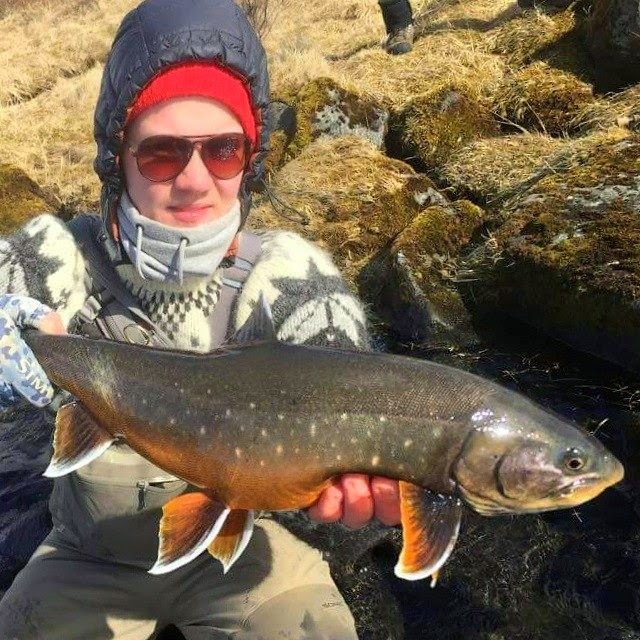 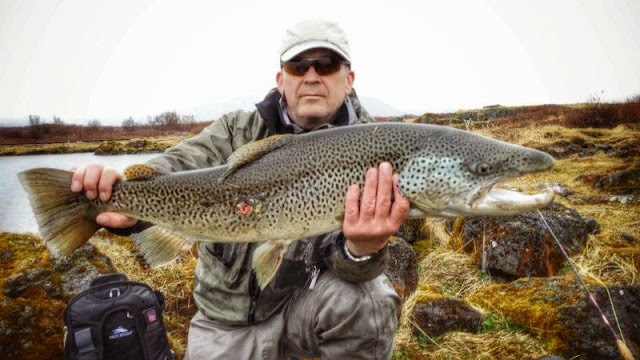 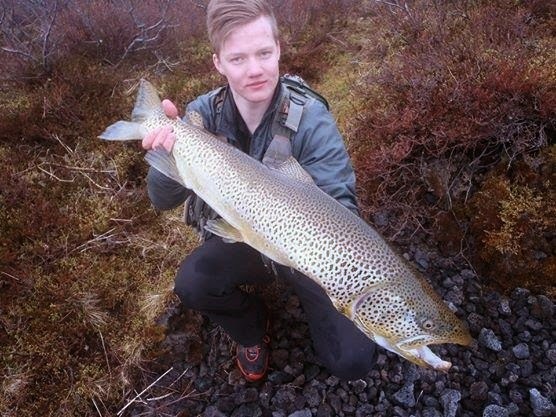 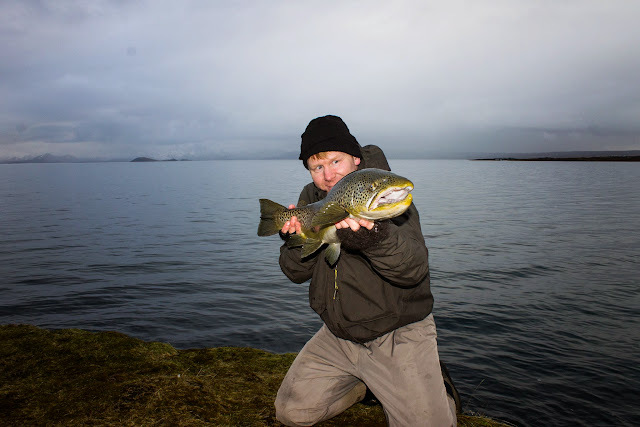 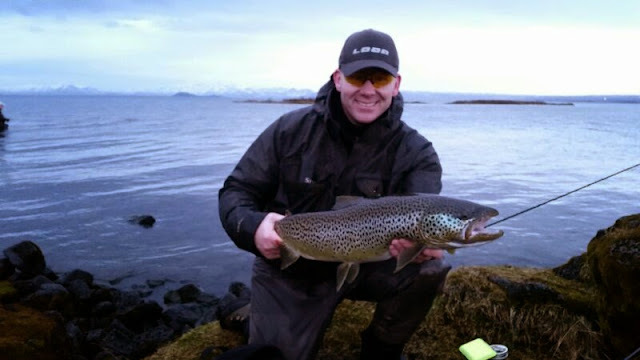 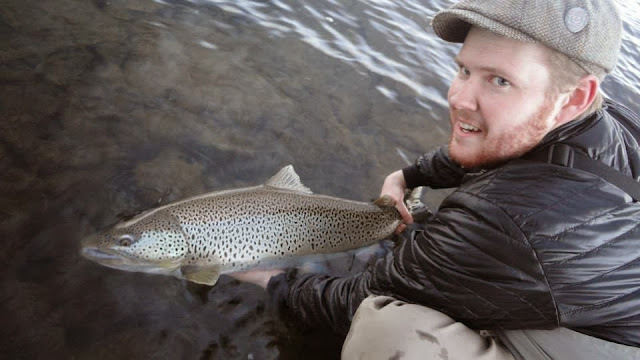 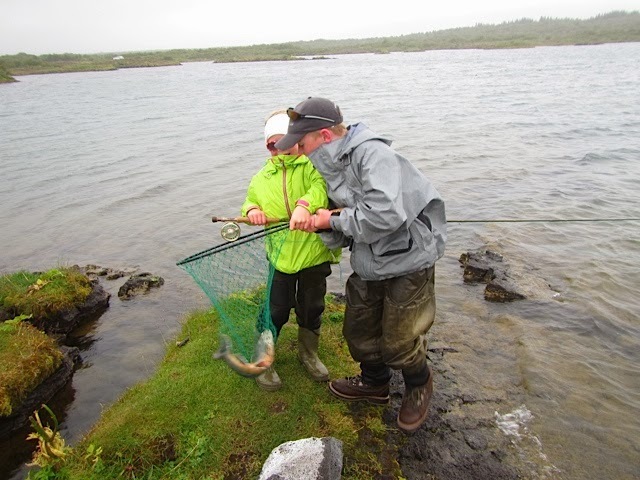 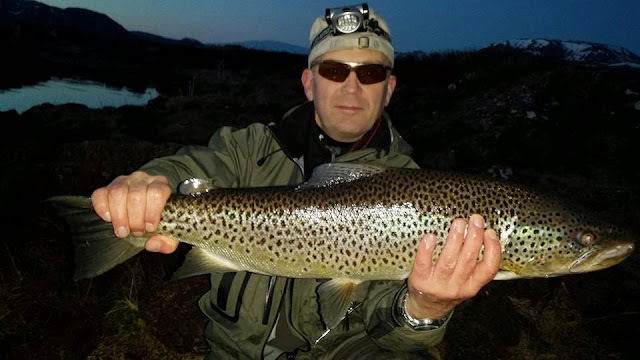 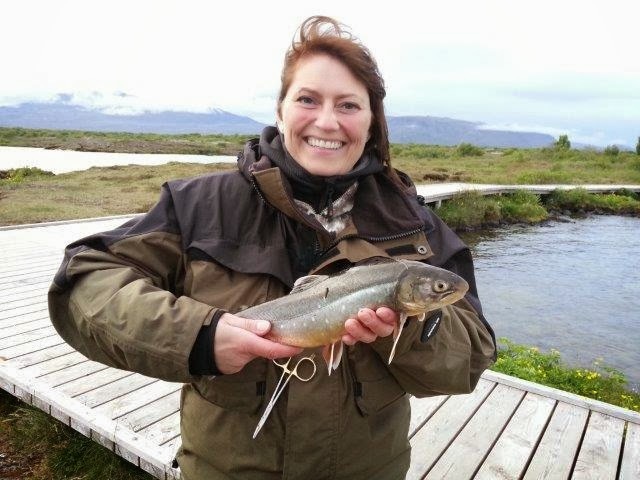 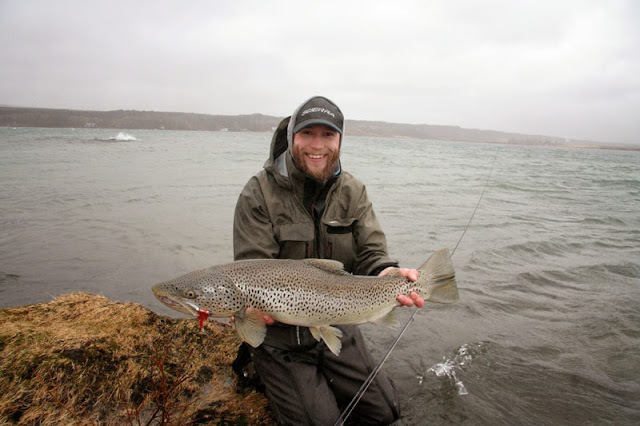 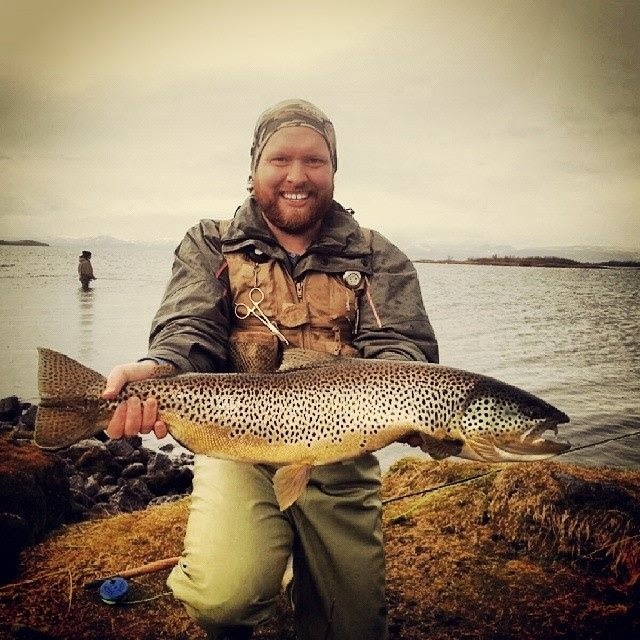 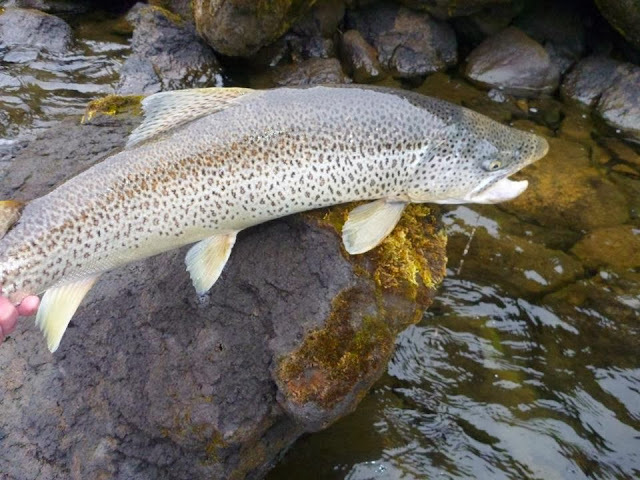 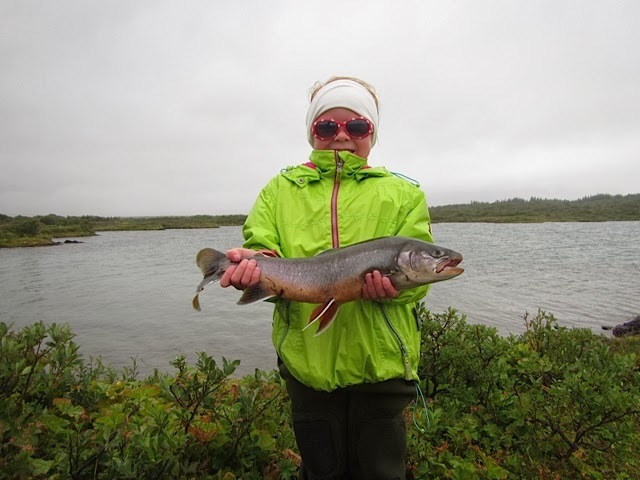 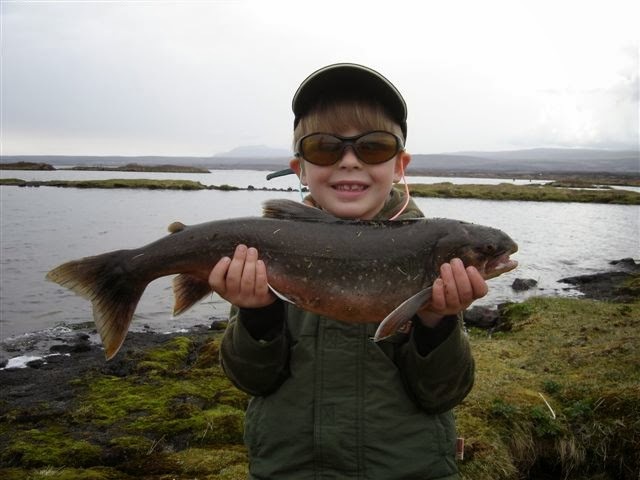 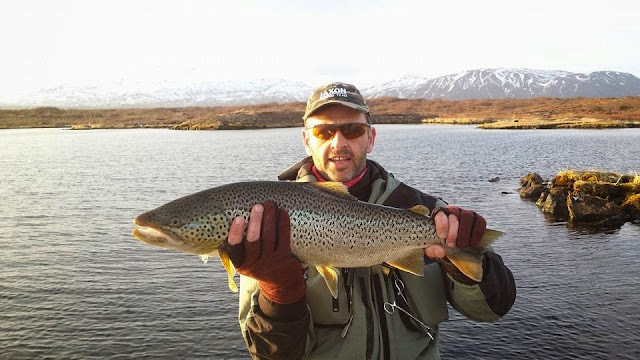 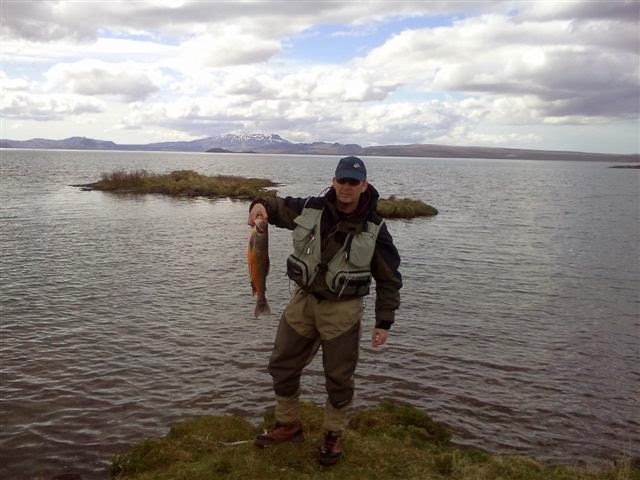 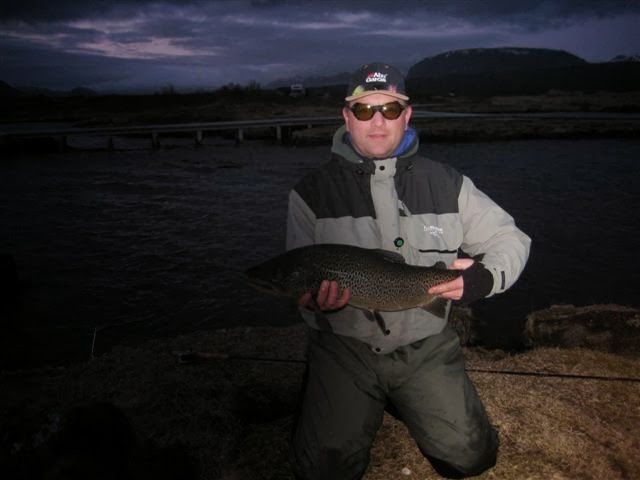 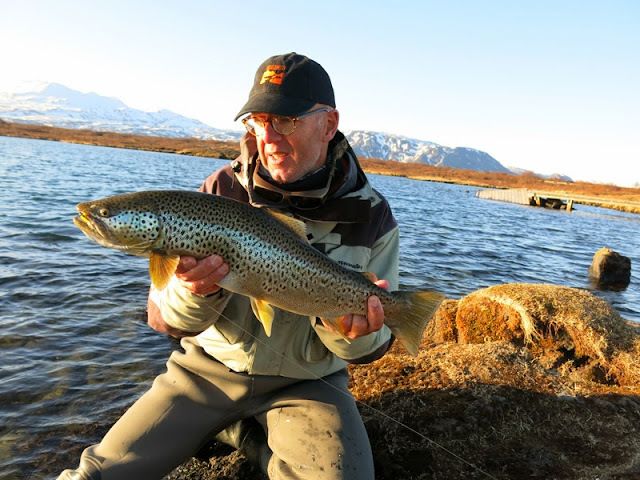 The Þingvallavatn char is usually rather large and every year hundreds of brown trouts over 10lbs are caught. 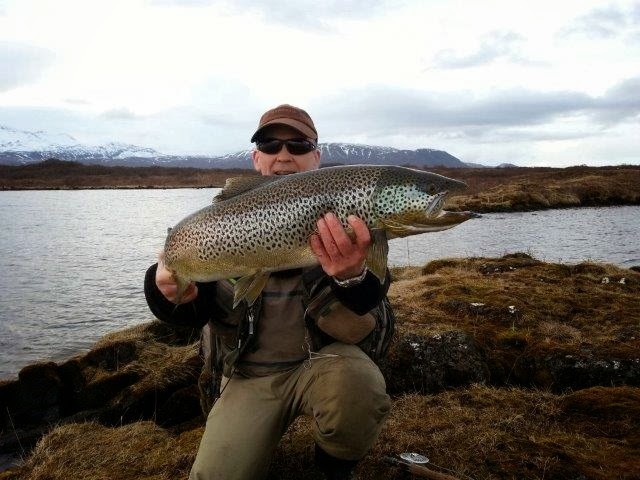 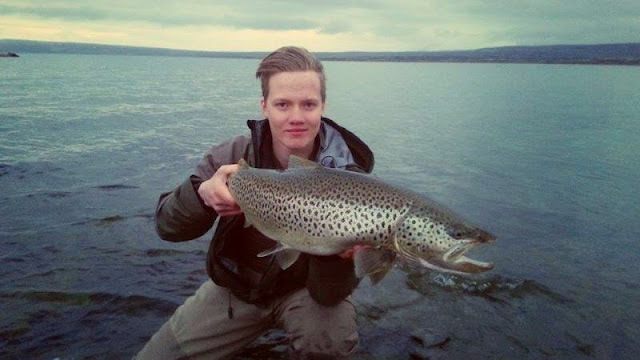 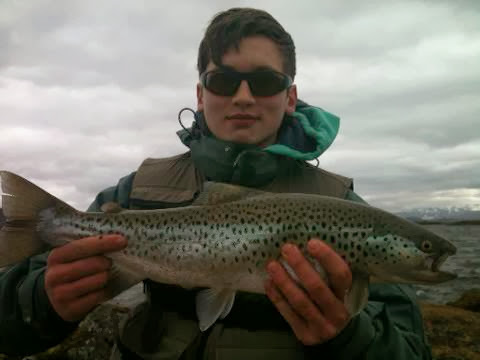 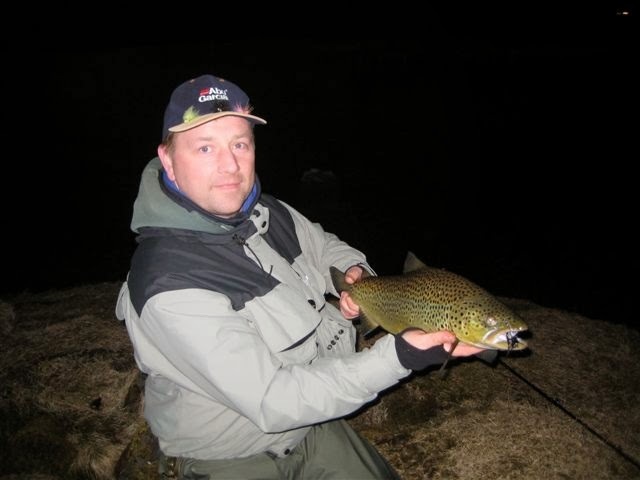 From 20th of April to 31st of May then there is only flyfishing allowed and all brown trout released. 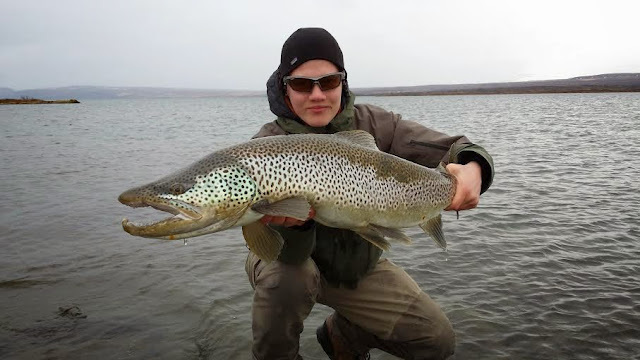 After that, from 1st of June to 15th of September, you may fish with fly, lure and worm. 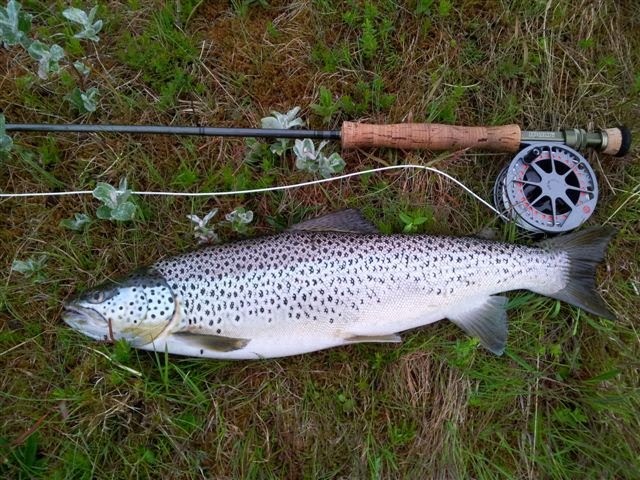 We like to stress, that all fishing is prohibited in Ólafsdráttur between July 1st and August 31st. 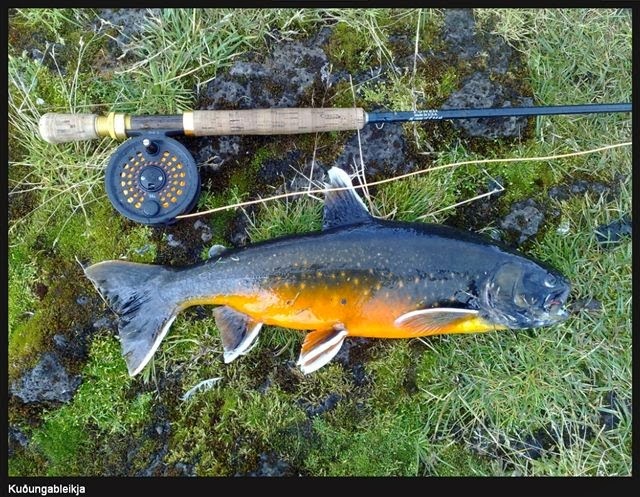 Only fly, worm and lure. 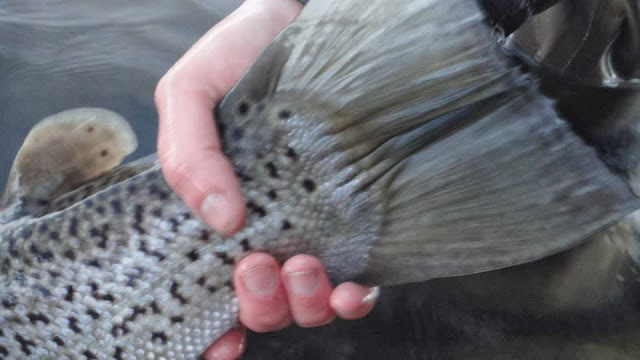 All other bait and synthetics is strightly forbidden. 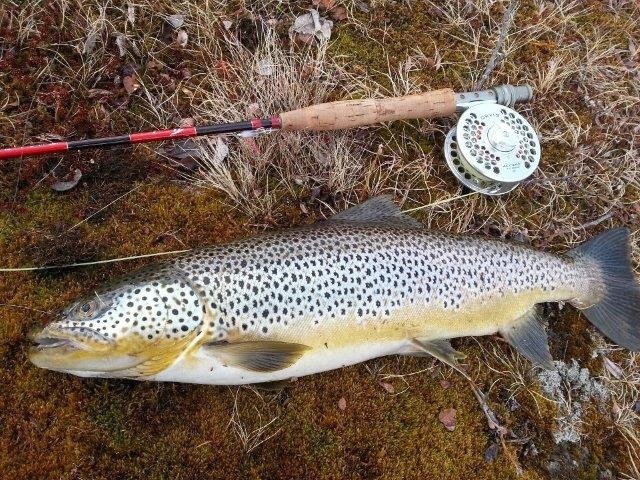 PLEASE NOTE FLY FISHING PERIOD FROM 20TH OF APRIL UNTIL 31ST OF MAY. 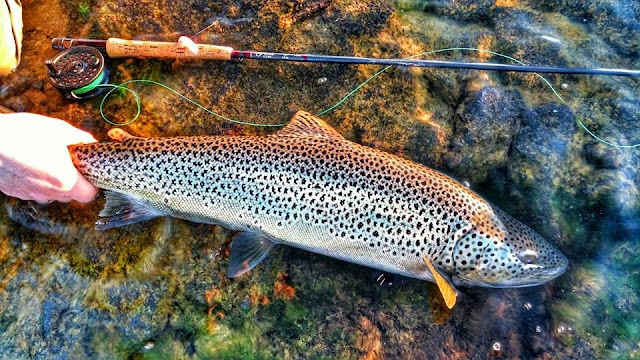 The brown trout is most visible during the evening. 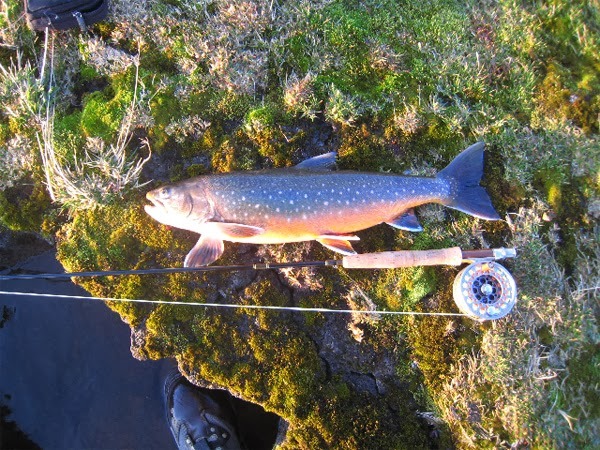 The char is no respecter of seasons or times of day. 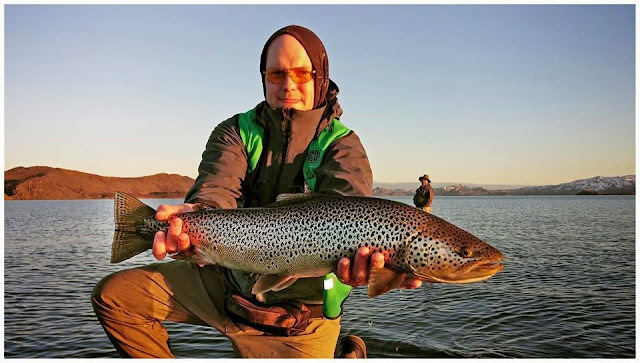 Please keep in mind that brown trouts bigger than 5 pounds are not recommended for consuming because of high volume of mercury (*hg) (quicksilver) so we recommed catch and release for the big brown trouts. 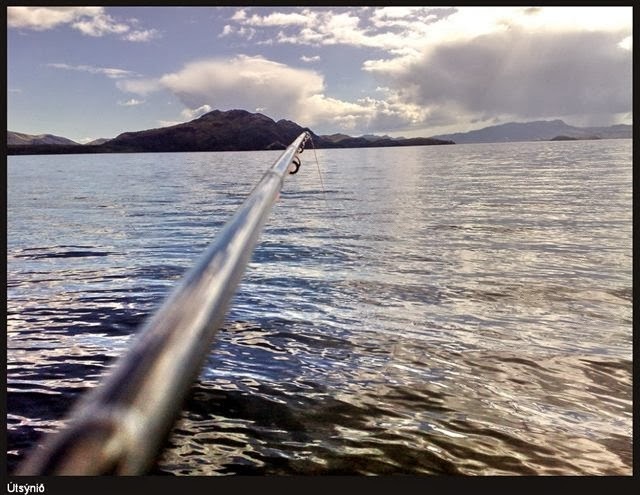 We like to stress the importance of keeping the place tidy. 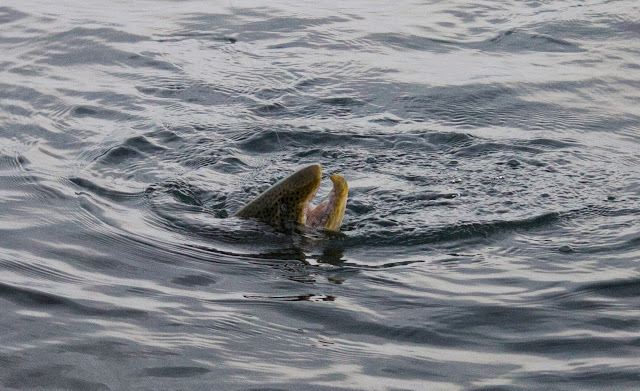 Littering is strictly forbidden. 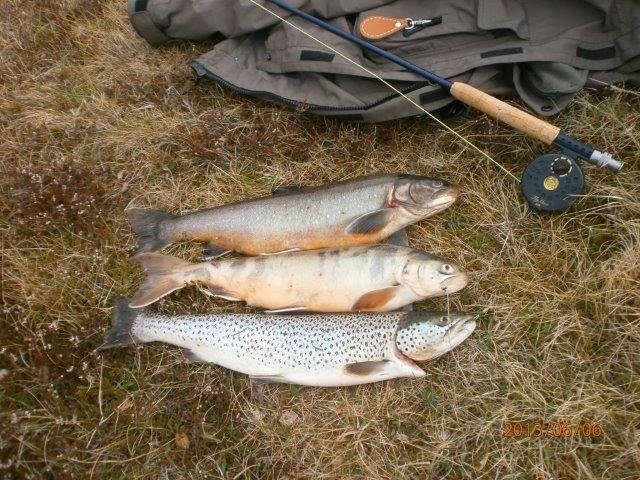 Cars and other vehicles must stay on designated roads. 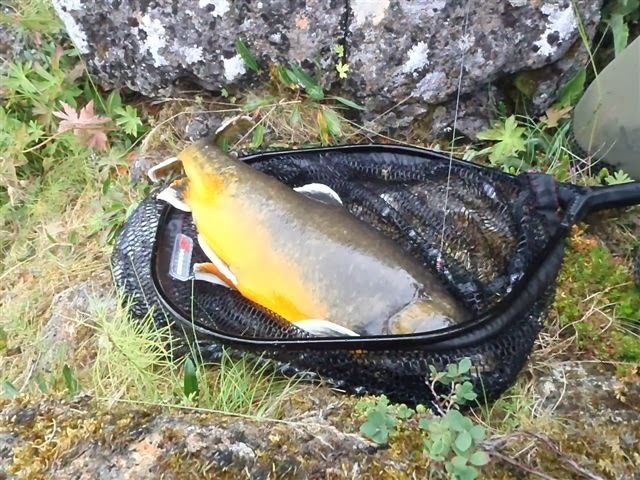 Please leave your card on the window shield inside the car visible for the national park guards. 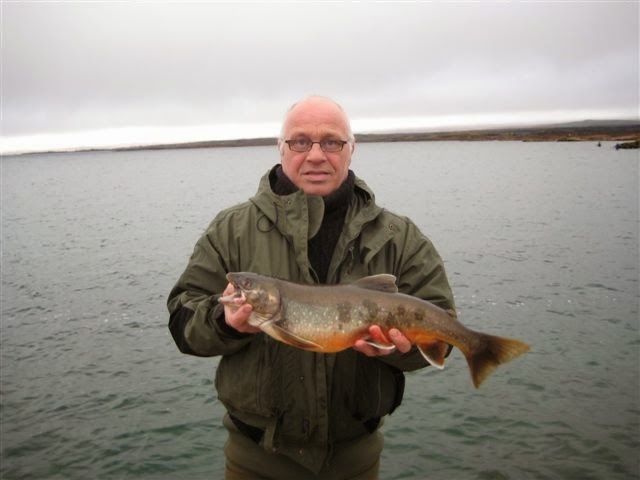 Guides and guards are stationed at the Service Centre and Vatnskot.